Sometimes I feel like a new school year is a new beginning. Kind of like New Year's all over again where you can make resolutions to lose weight, and get organized! With my little one (well, she's my oldest... and she would be the FIRST to tell you she isn't little) starting preschool this week, I plan to make another resolution to get/stay organized. 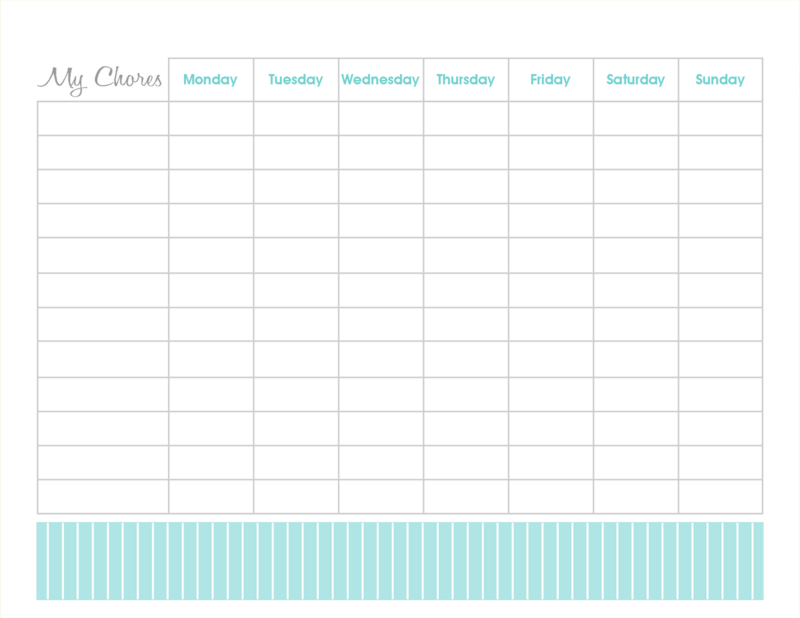 So, in case anyone else out there is making that same resolution, I created a couple different BLANK chore charts. Keeping the house clean is one of my biggest problems. My house always looks well loved. hehe! So, feel free to download one of these printables and use it for whatever will help you the most! I plan to use mine to keep track of my own chores. Here is what mine looks like. 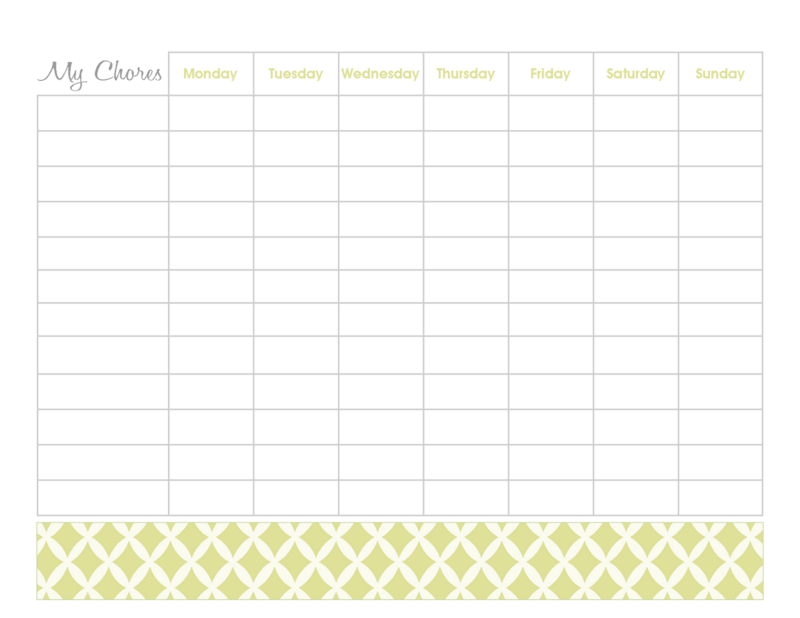 Not all chores are daily chores, but this way I can keep track of them each week. All of them should be done at least once a week. 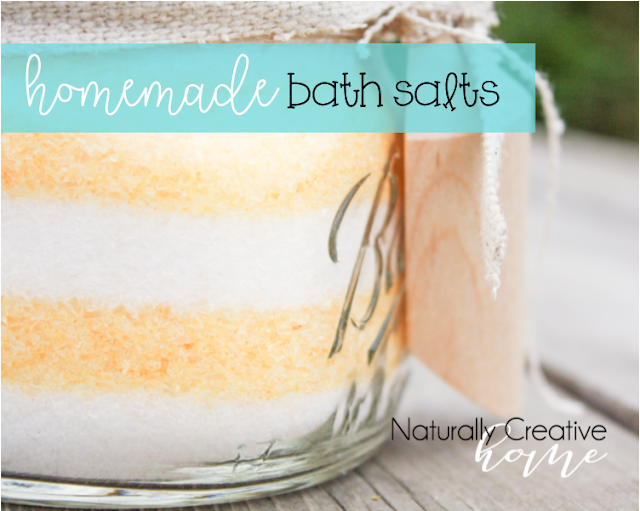 Feel free to use yours for yourself, your household chores, or for your kids. 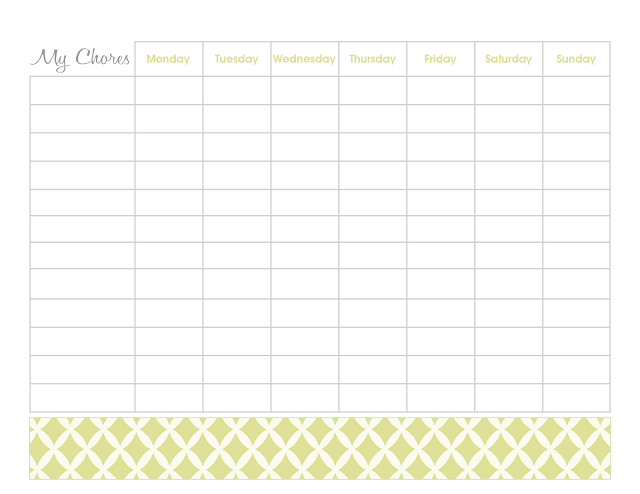 I left them blank so you could fill in whatever chores work for you and your family. 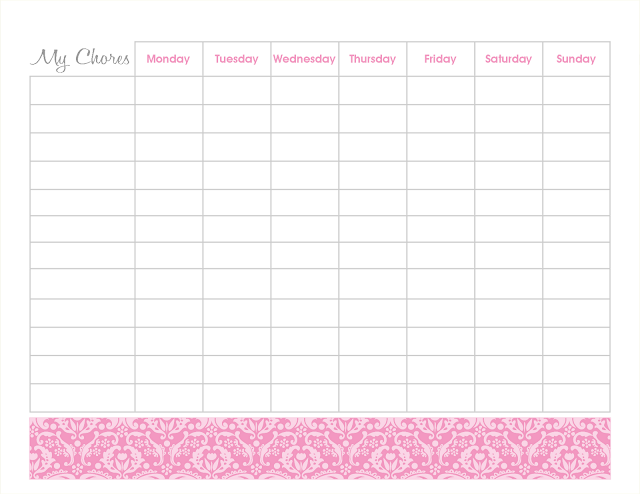 If you are interested in a custom chore chart, let me know. I would be happy to create one for you using your color scheme and personalize the chores. 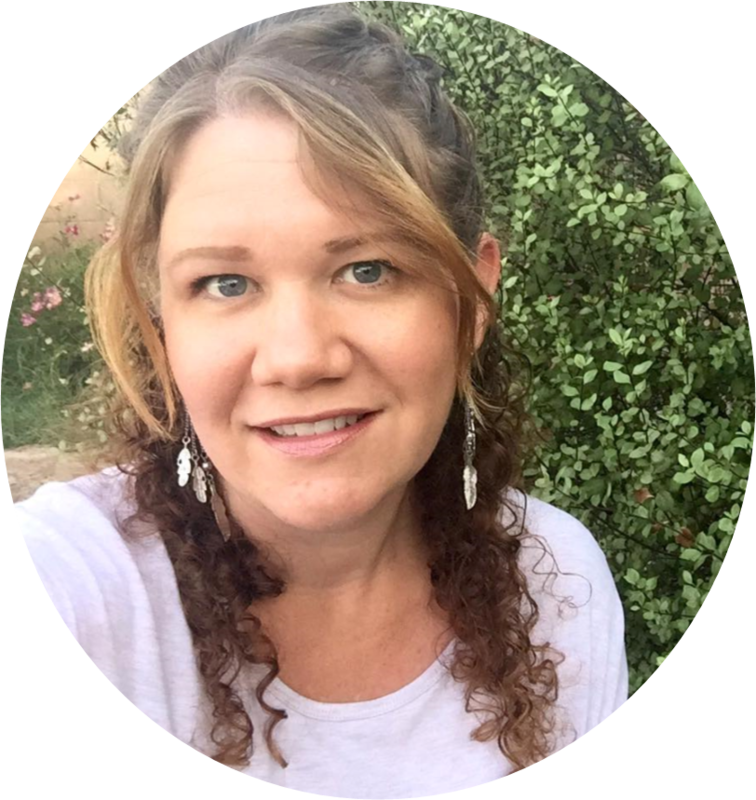 I will email you a PDF file of your custom chart for only $5. Them laminate it, print a new one each week, or stick it in a picture frame to use again and again! 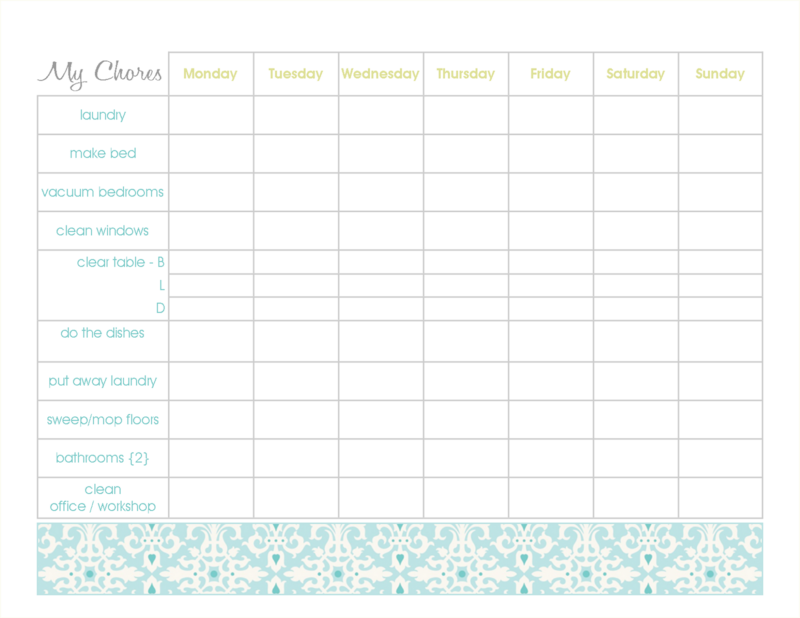 What will you use your FREE chore chart for?!! Thanks for stopping by Natasha! !